Strictly necessary cookies are essential in helping you to navigate the site effectively, and enable services such as online bookings, payments for services and forms you can complete online. These cookies are only used when you request a specific service. Performance cookies allow us to analyse how much ‘traffic’ (how many visitors) our site receives. Like many websites, Knowsley Council use a service called Google Analytics to allow us to study data about site use. Google analytics provides us with anonymous, aggregated statistics that help us to understand how visitors use our site, enabling us to improve the structure of the website and constantly improve the services we offer. The software does not allow us to identify individual visitors. By using this website, you agree that we can place performance cookies on your device. By using this website, you agree that we can place functionality cookies on your device. 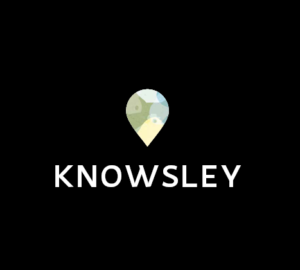 In order to provide effective online services, Knowsley Council makes use of popular tools such as Flickr for sharing photos, Youtube for sharing video and Twitter and Facebook for keeping in touch. These sites they may also place cookies on your computer.We use a number of suppliers who may also have cookies set on our website. While we may have enabled these cookies for data purposes, we do not control the dissemination of information they provide, beyond that used for our own purposes. Please be aware that restricting cookies may cause the Discover Knowsley website to work incorrectly.